A Western family in Japanese costumes. 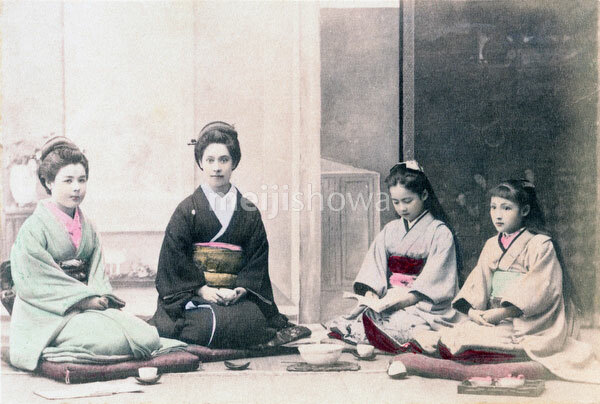 It was very common in the late nineteenth century for Westerners to have themselves photographed wearing Japanese clothing. See also 70421-0001.